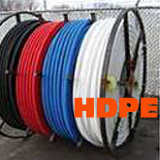 Distributors of Aerial equipment, cable fiber optics, fiber test equipment, fiber optic parts, network testing equipment and more. all with exceptional customer service. 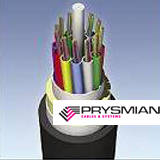 We supply fiber optic cable and products, and thousands of other quality products at competitive pricing. Call us today! Engineers have the tough task of planning cable and microwave routes, PBX equipment installations, the expansion of existing structures, and solve other engineering problems. At City Build we work with engineers and project managers to find the telecommunications products including aerial equipment, fiber optic parts and network testing equipment, that are needed for the job, at the right price. Our personnel works closely with clients, and understands communications systems, and design systems that will meet our clients’ needs. At City Build Supplies we know that in the telecommunications industry we are sometimes required to work overtime, especially during emergencies such as floods or hurricanes. If you are in a situation where you need personalized attention and fast response time, City Build is your telecommunications products supplier of choice. 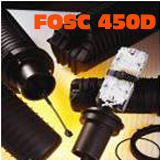 At City Build Supplies we pride ourselves in being a supplier of quality telecommunication products and parts at competitive pricing to a diverse group of industries from Telecommunications, to Wind Technology and Sewer and Water. Working with many small contractors is common but difficult to coordinate. At City Build we carry thousands of telecommunications products at very competitive pricing, and our customer service surpasses most. We provide rapid quote turn around. Why work with many, when you can work with City Build. City Build Utility Supply is located in Houston, Texas and is a distributor of materials/tools for both Aerial & Underground applications for the Telecommunications, Cable-TV, Power, Sewer & Water and Wind Energy industries nationwide. We are distributors of Aerial equipment, cable fiber optics, fiber test equipment, fiber optic parts, network testing equipment and more. City Build was founded in 2002 by Robert Juarez and is a Minority/Disadvantaged Business Enterprise (M/DBE) and & HUB certified business. City Build is focused on providing our customers with the products they need, for both Aerial and underground applications, along with great customer service from our knowledgeable sales representatives. Our mission is to provide you with the material you need when you need it with reliability and as your cost-effective solution. City Builds goal is to have you the customer consider City Build as an extension of your business working towards your success. We continue to expand our product lines so we can be your One-Stop shop. Product Specials: We also have monthly specials on selected items. Go to our “Contact Us” page and send us an e-mail and we will add you to our mailing list to receive our monthly specials. If you do not see a product you are needing listed on our site, give us a call at 713 227-0508 or e-mail us at sales@citybuildsupplies.com and we will be glad to assist you. For a complete listing of our site, visit our sitemap.